The latest information from our press has announced a new book written about the late actress Marilyn Monroe by Joyce Carl Oates, which in reality is presented as a fictional biography. But what is important in this case and needs to be noted is that in the interview granted by the author of this book there is a characteristic quote: "In America cinematography is a religion. We don't have saints, but we have folklore" (Ελευθεροτυπία, 11/06/2000). Some of the best movies I've seen are ones that are known for causing audiences to walk out of the theaters. People tend to walk out of these movies usually because they are too scary, too gross, too nauseating or just plain awful, among other reasons. Though I've walked out of a few movies myself, typically I like to pull through and stay to the end, especially if it is only boring or awful. But sometimes you just have to leave, or else you will vomit, have a panic attack, faint, have nightmares or something worse. 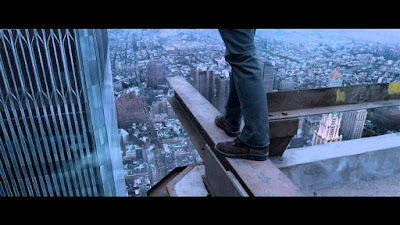 If you do a Google search of "Movies People Walk Out Of", you will come across many lists of such movies, so I will refrain from posting those movies here, as you can look them up yourself. 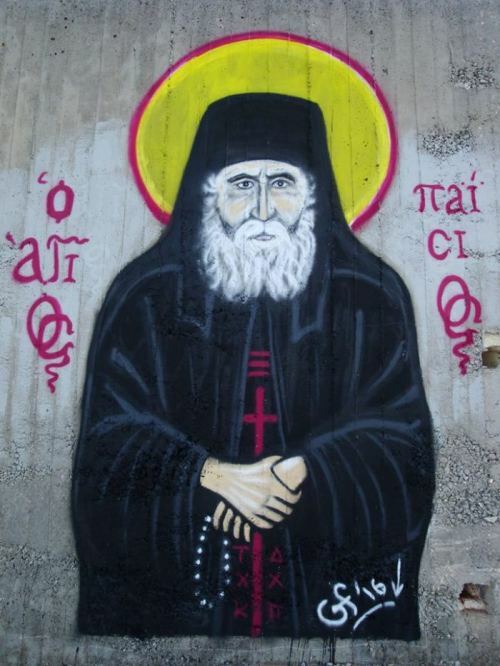 On a wall on the island of Samos, there has been designed an unusual graffiti image, depicting the figure of the Holy Elder Paisios, whose memory is celebrated on July 12th. Although this artistic trend is to some extent linked with rap and hip hop music, we should remember the song by the Greek rapper Artemis titled "Max (Passions and Virtues)" from his album Wolves in Sheep's Clothing (Λυκόσχημος Αμνός), which speaks of the true story of the conversion of a young junkie named Max to Christianity after reading the book Counsels of Saint Paisios: Passions and Virtues in prison. A hectic travel schedule came with Betty Cantrell's Miss America crown, making it a challenge for her to attend church regularly. But she packs devotional readings and draws on her upbringing in the Greek Orthodox Church as she fulfills her year of service. "I think the reason why I feel so strongly about doing philanthropic work is because of my faith. The religion teaches us to give back and to always be thankful for what we've been given," Cantrell said. "I'm definitely very passionate about giving back and being a part of this charity organization that is the Miss America Organization. We're always giving back." Now that we are a little over halfway through 2016, it is time to share my 10 favorite movies of the year so far, so people can start catching up with their movie watching for the summer, and to help prepare me for my final list at the end of the year. Each title below is linked to the Wikipedia page if you want to read more about it and see the trailer. When Kevin Hart decided to pursue stand-up comedy, his mother gave him a year to prove that it really was his dream. Months later, when Kevin asked her to help with rent, she responded with a question of her own: "Are you reading your Bible?" Hear about the clever trick she played on Kevin to teach him a lesson — one that almost got him evicted.